Yep, ER knots are great. I'm so pleased with the 26 and 28 sizes. They have for me, a near perfect combination of density, backbone, flow-through and soft tips. My preference is the bulb shape. 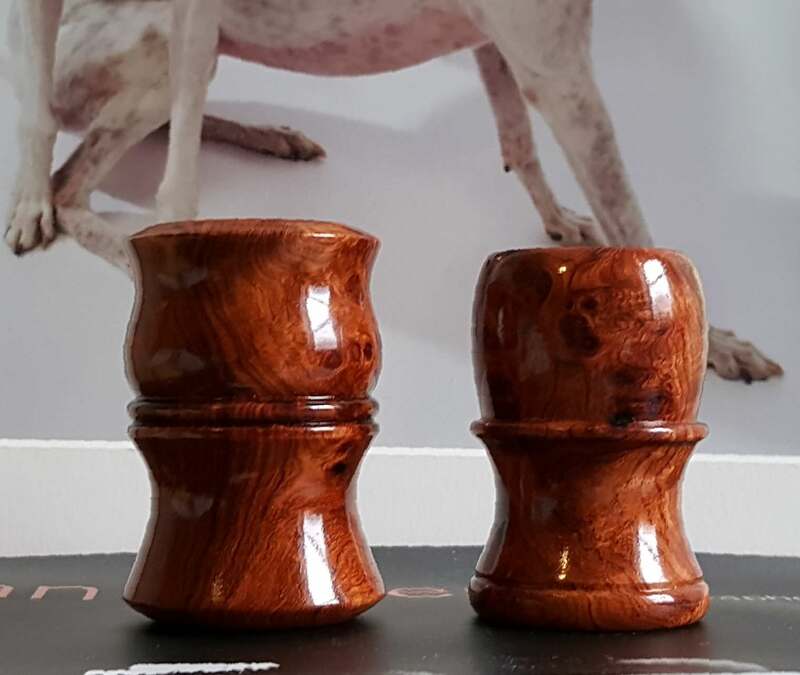 I have the exact bethlahem olive wood, 28mm Manchurian as the op. Pretty good brush right out of the gate. 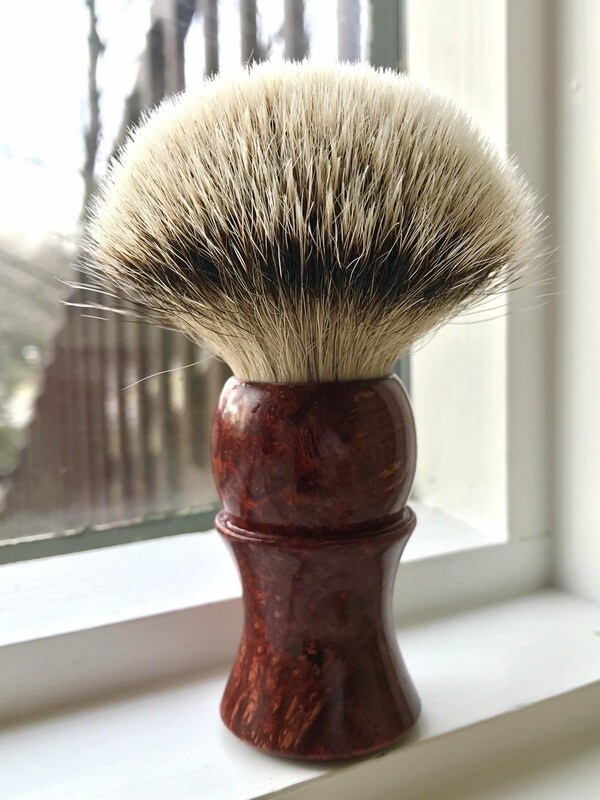 First experience with a Manchurian and I have to say when I got a couple days growth and need something to exfoliate good. I reach for this brush. Besides the wood is really unusual to see in person. Love it and great communication with elite. One off requests no problem. 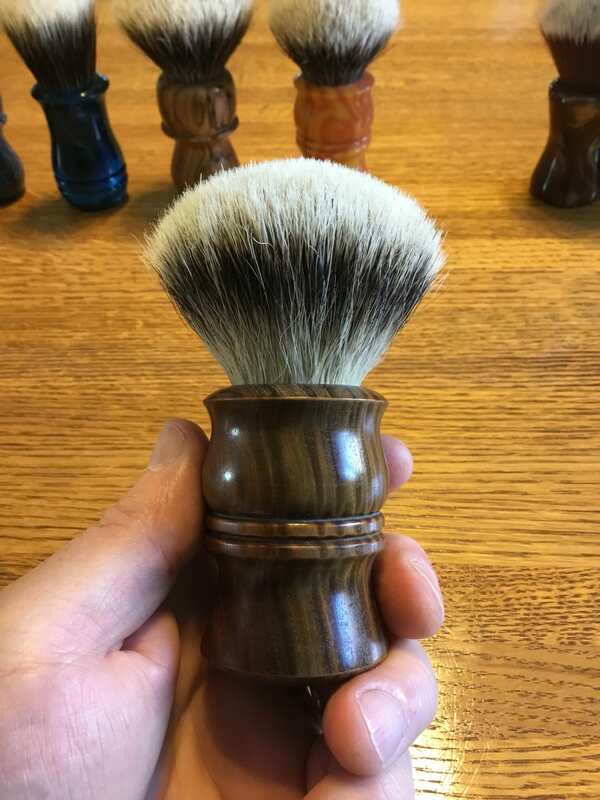 I would like to applaud Bob for the unique woods he gets in, his superior craftsmanship in creating outstanding wooden, resin, stone and metal handles. I have six of Bobs wooden handles and one resin. Because Bob is very versatile, in which I mean you can either get one of Bobs knots in his handle or you can have him set another vendor's knot in his handles or you can just buy a handle and sit on it until you see a knot that you want to be set into that handle (this is something that I do). Also Bob will custom make a handle if you desire. The latest addition to Bobs Elite brand is his logo which appears on his newest handles which enhances his handles and completes his brand. 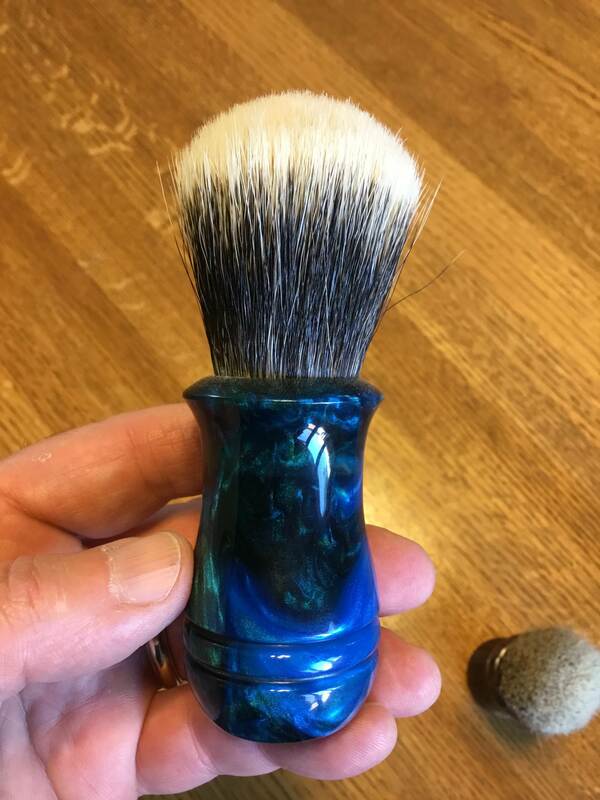 Great looking brushes, Steven! Bob sure makes beautiful and highly functional tools. The coin logo in the handle is a nice touch. A while back I recall Bob saying he preferred letting his work speak for itself rather than adorning it with extraneous distractions. This is tastefully done. 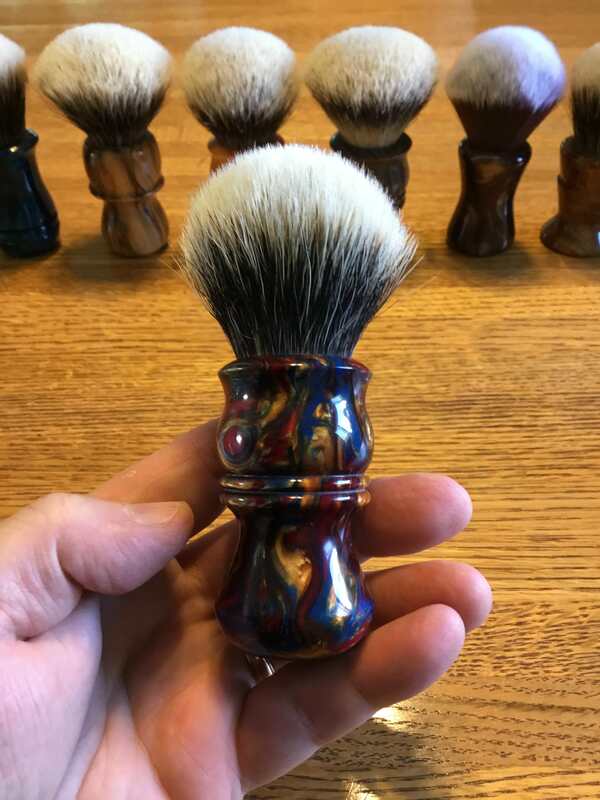 (01-11-2018, 02:40 PM)chazt Wrote: Great looking brushes, Steven! Bob sure makes beautiful and highly functional tools. The coin logo in the handle is a nice touch. A while back I recall Bob saying he preferred letting his work speak for itself rather than adorning it with extraneous distractions. This is tastefully done. 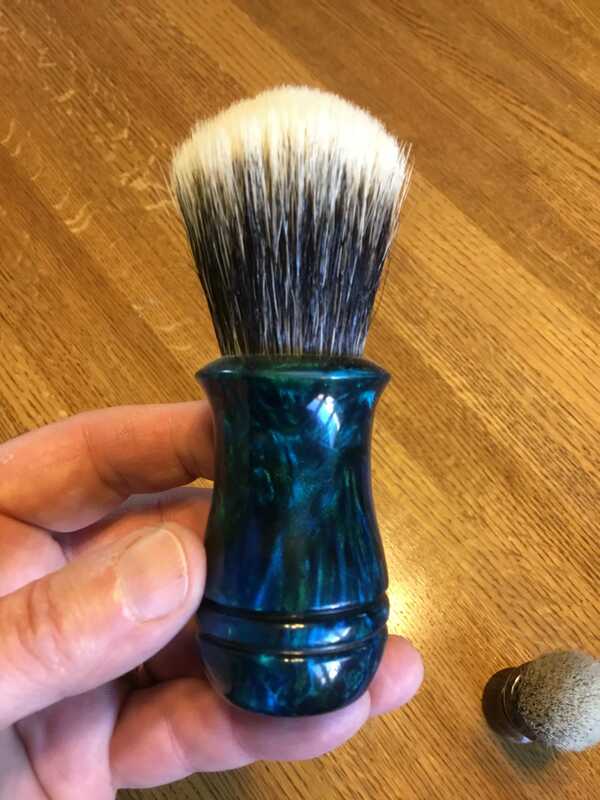 Beautiful quality brushes Steven. I have long been an admirer of Bob Quinn's work. 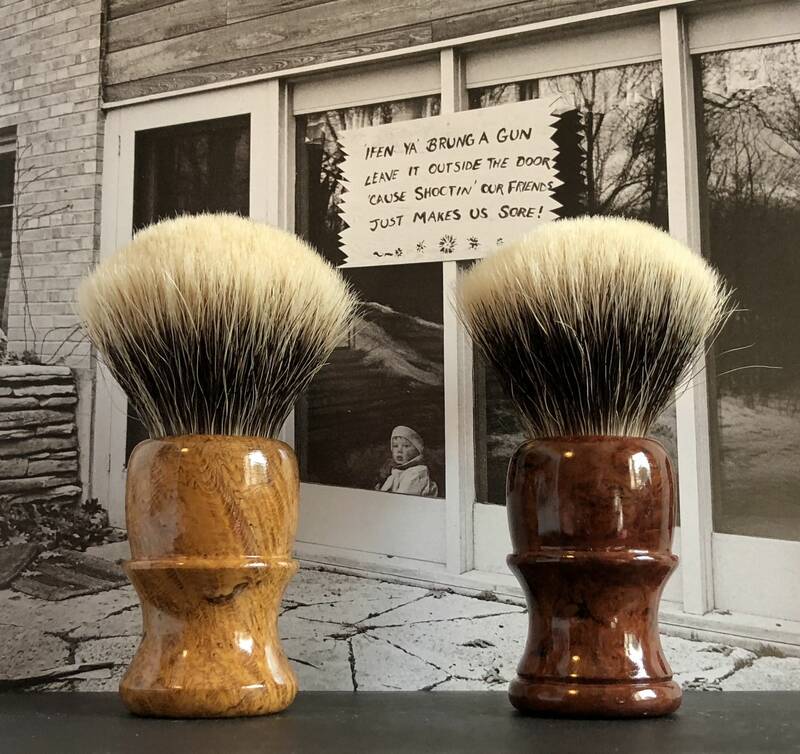 (01-11-2018, 05:22 PM)TheLegalRazor Wrote: Beautiful quality brushes Steven. I have long been an admirer of Bob Quinn's work. 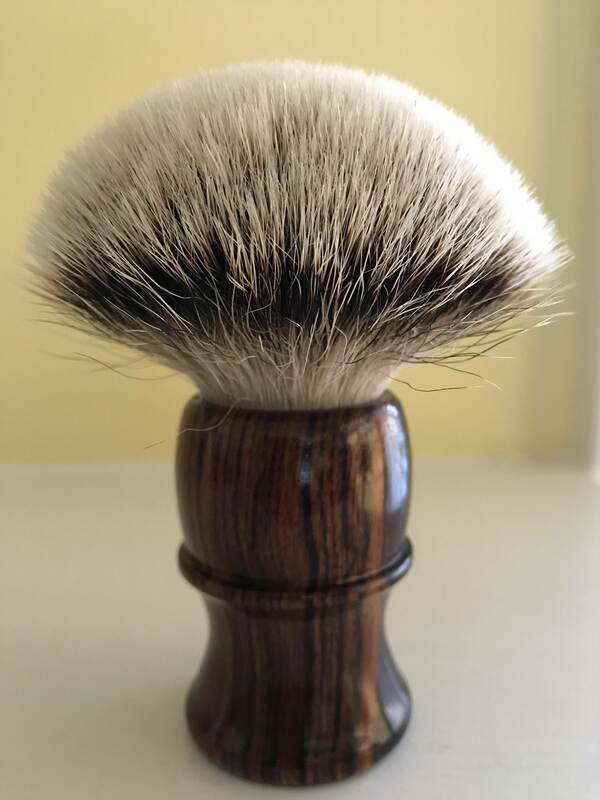 Elite Razor HMW 26mm bulb in beautiful Amboyna Burl Handle. 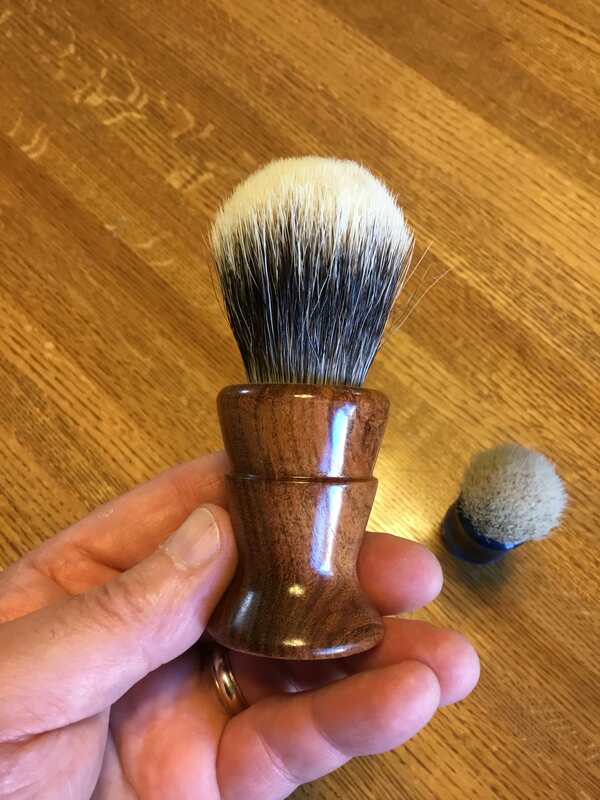 Another great brush from Bob. 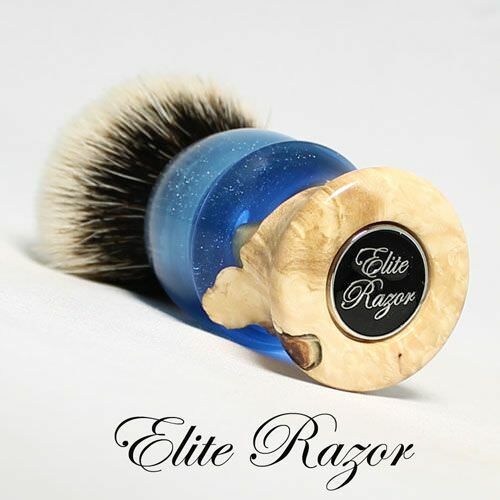 (01-31-2018, 01:32 PM)German Wrote: Elite Razor HMW 26mm bulb in beautiful Amboyna Burl Handle. I have been very impressed with Bob's HMW 3 Band knots. I own two: the bulb above and the fan pictured below. The bulb is not very "bulbous", but more a hybrid knot. The tips are super soft, i.e. comparable to Thäter 3 Band or the best Simpson Super you can find. The hair is very fine giving the brush modest backbone with great flow through. The knot is dense enough, however, to not be floppy. Both knots are 26mm set at about 51mm, which is a good loft. You could easily go down to 48mm, but I would not go higher than 51mm. Amazing knots that Bob has sourced here. Of course, his 2 Band Manchurian are equally fantastic. 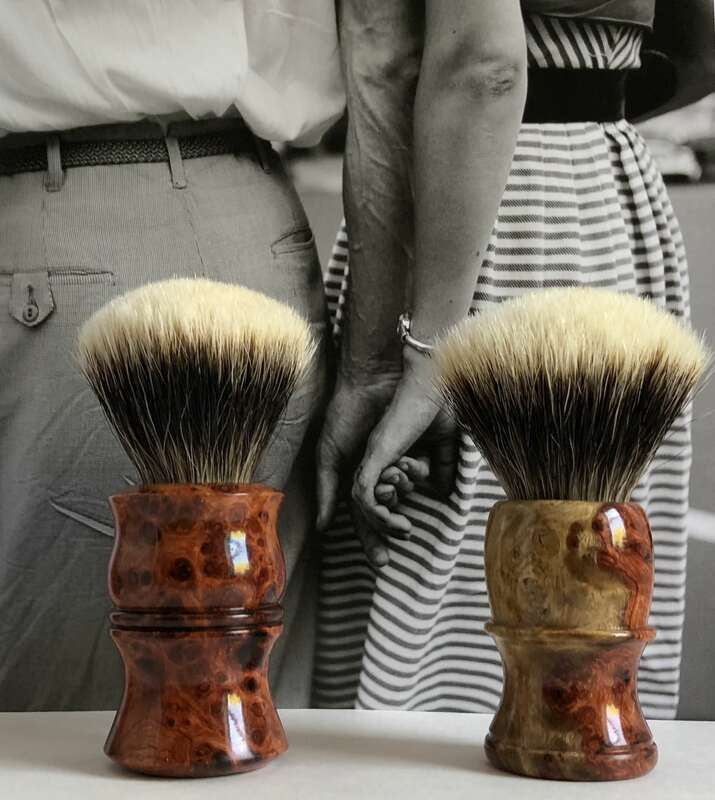 Combining the available knots with his outstanding craftsmanship in handles makes Bob's brushes a real treat. I have 5 now and certainly will get more with these knots. Nice 3 band in another sweet handle, Georg. Enjoy. 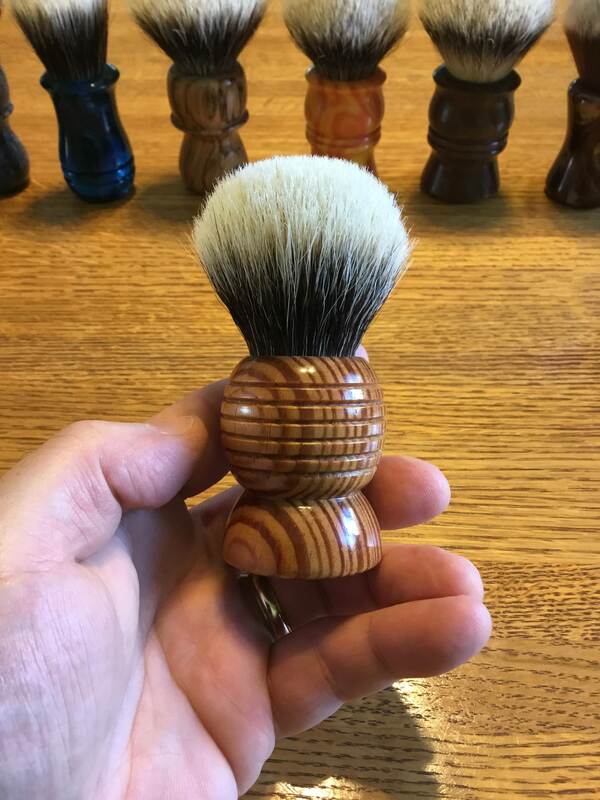 I’m looking forward to trying my first ER 3 band knot in a custom Endeavor Brush Works handle. Hope to see it arrive this week. 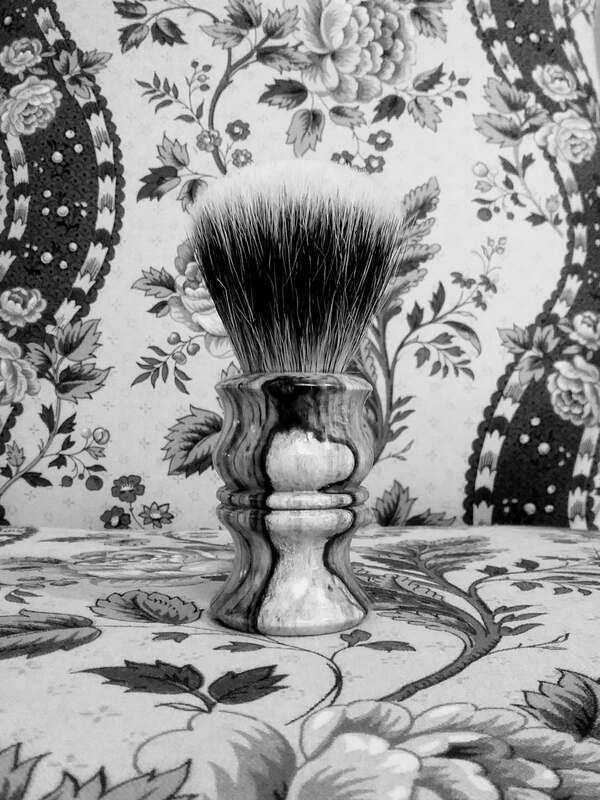 The faux horn brush is one of Bob's handles with his Manchurian White knot at 26mm set at 50. 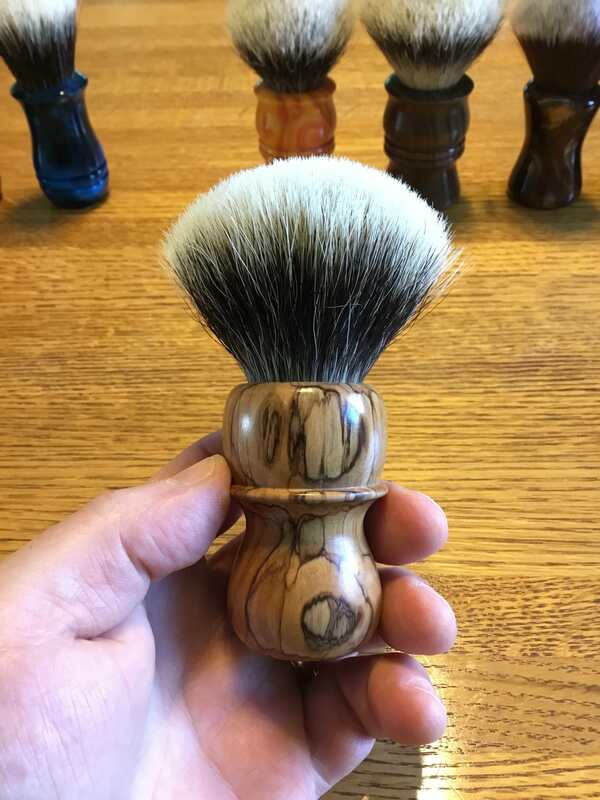 I love that brush so much that I got the same knot to put in a Wolf Whiskers handle. 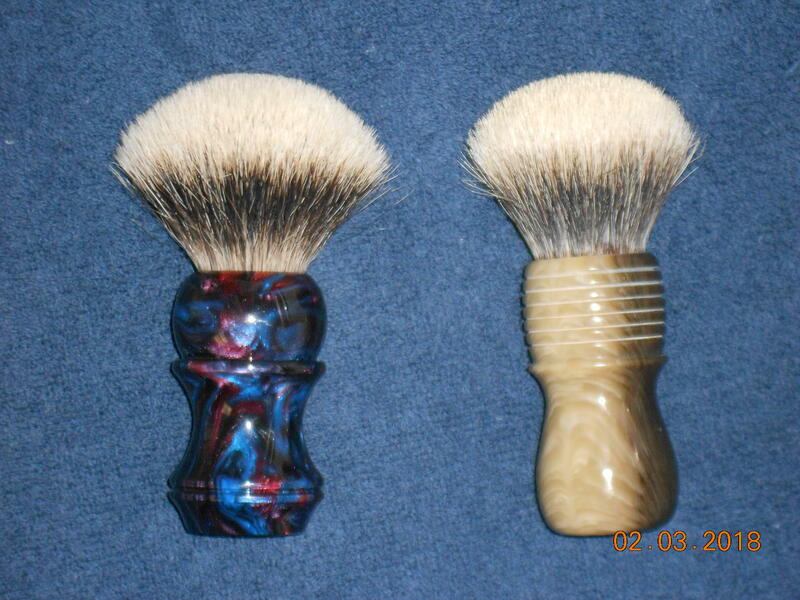 The blue and red one is that brush, a Wolf Whiskers 1301 handle with one of Bob's Elite Manchurian White knots. It too is 26mm, but set at 51mm. The first photo are 2 wooden handles I pick up from Bob to put in knots that I like at a later date. 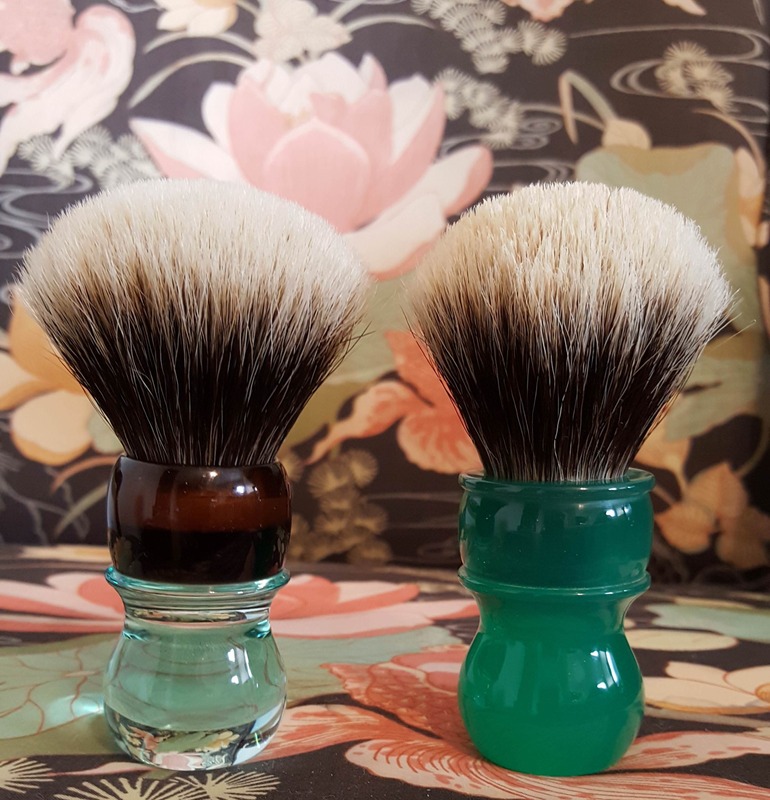 Beautiful brushes. 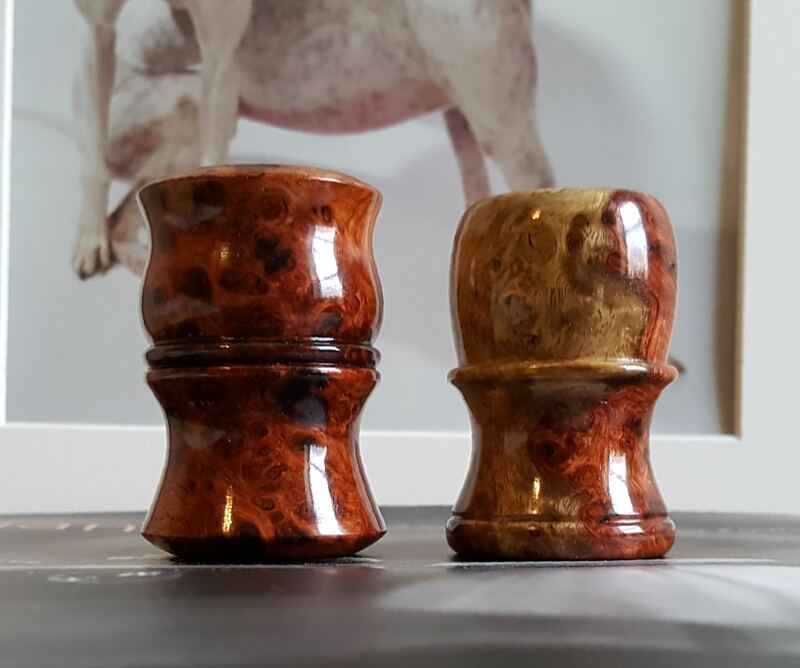 Picking Elite handles for those knots was a great choice. (06-28-2018, 04:43 PM)TheLegalRazor Wrote: Beautiful brushes. 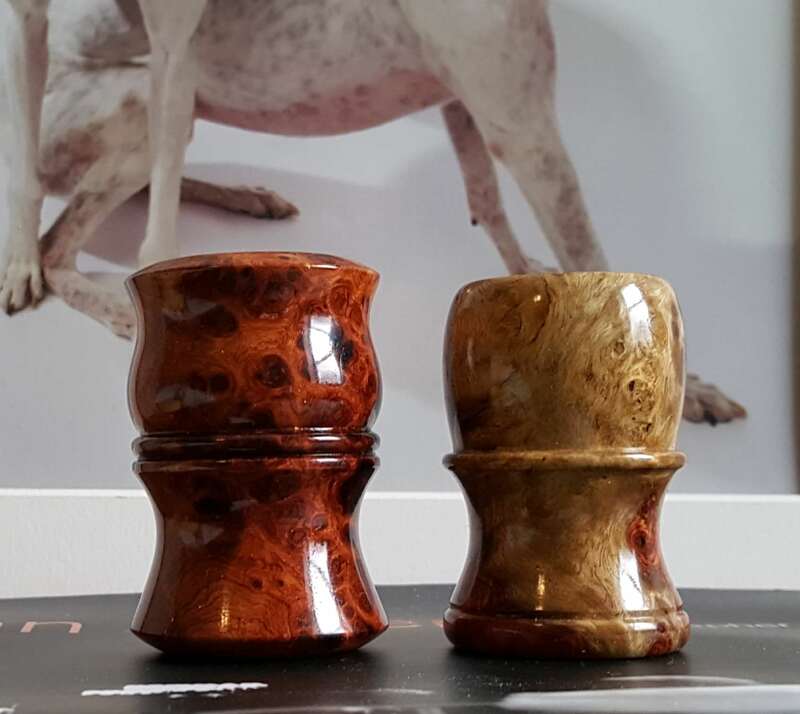 Picking Elite handles for those knots was a great choice. Bob has a wonderful eye for wood and no one makes a wooden handle like Bob, just my opinion YMMV. 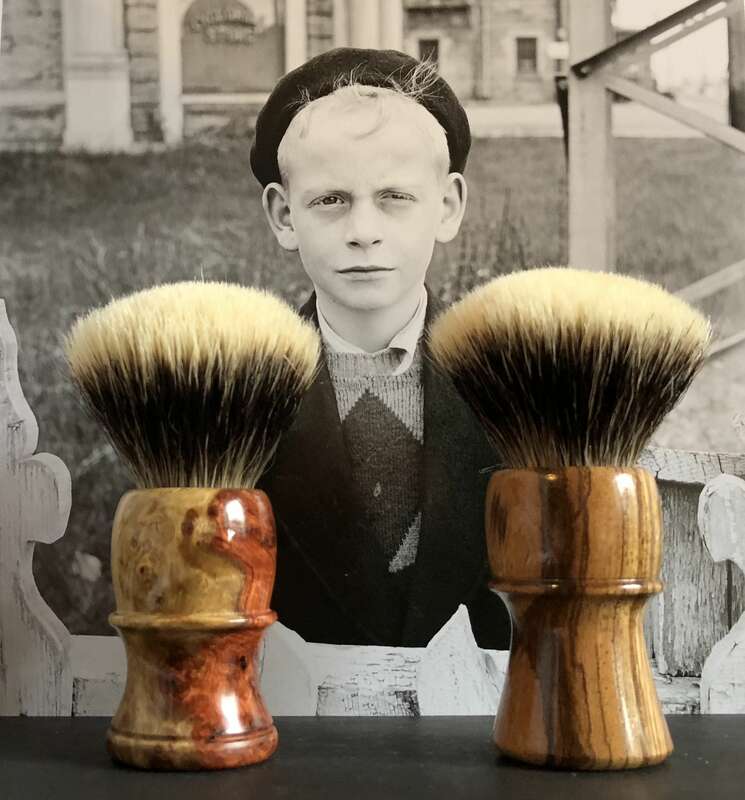 I had a few Ramero brushes that I sold didn't like the knots (quality control on knots is not easy I understand this, many people loved his knots. 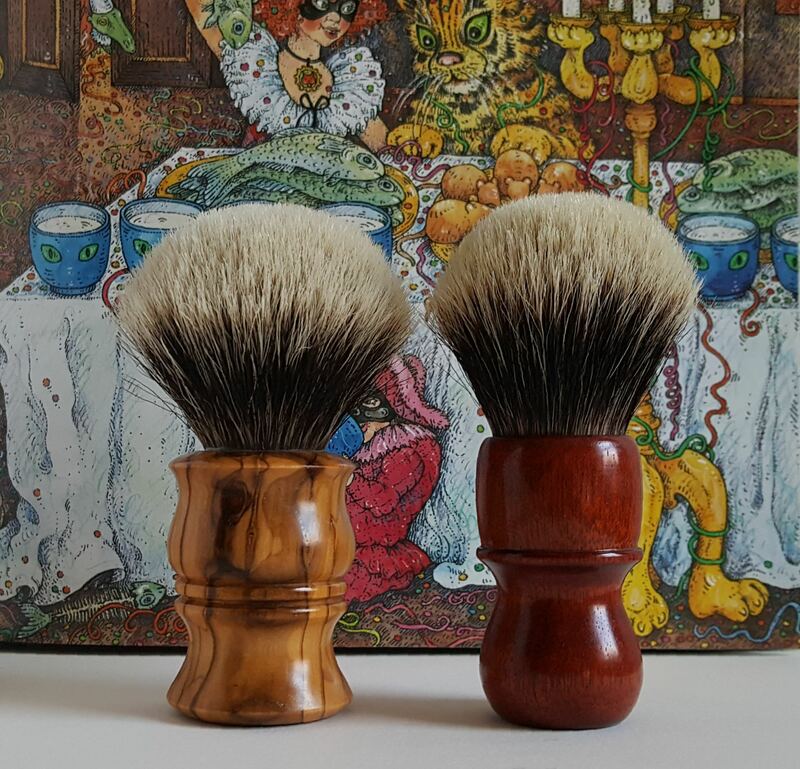 As luck goes I received 2 not so good brushes/knots). 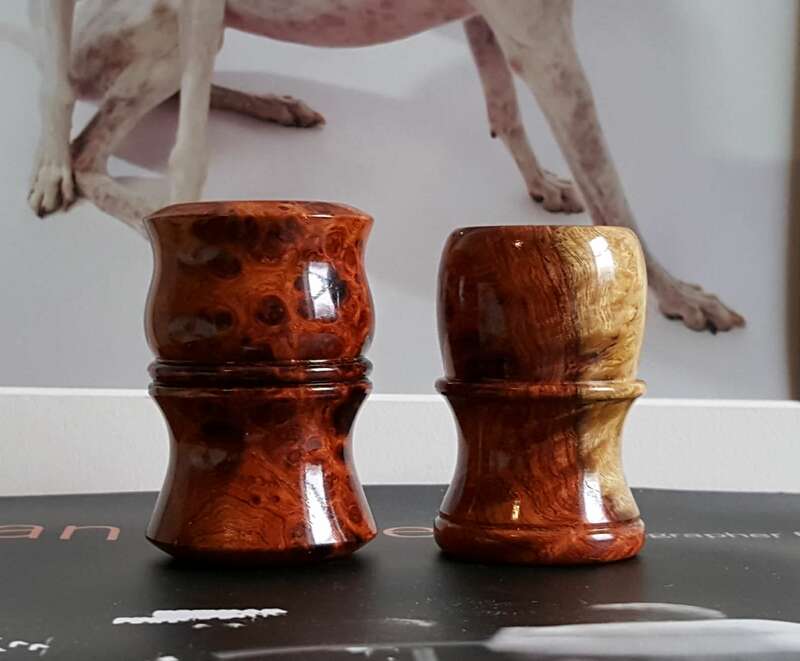 A year or so back Ramero sold his knot separately here on TSN, I gave Ramero another try and I purchased a 24 and 26, these 2 knots are simply stunning, soft strong tips good medium backbone. 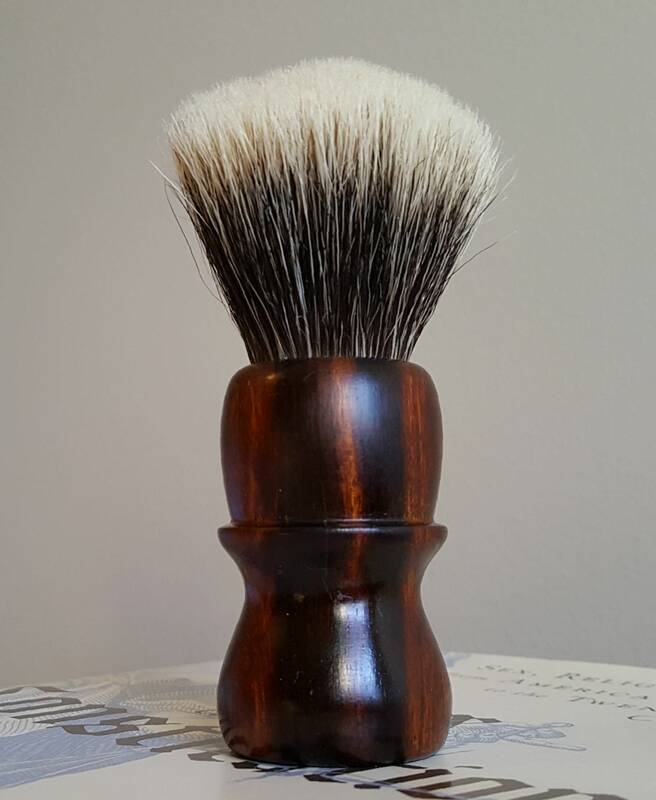 These knots have personality slightly different than other brushes that I have. For me a pure pleasure to lather with. These next two arrived today. So there you have it. Bob’s Beauties! Oh, I also have 3 other of Bob’s knots set in handles by other makers. 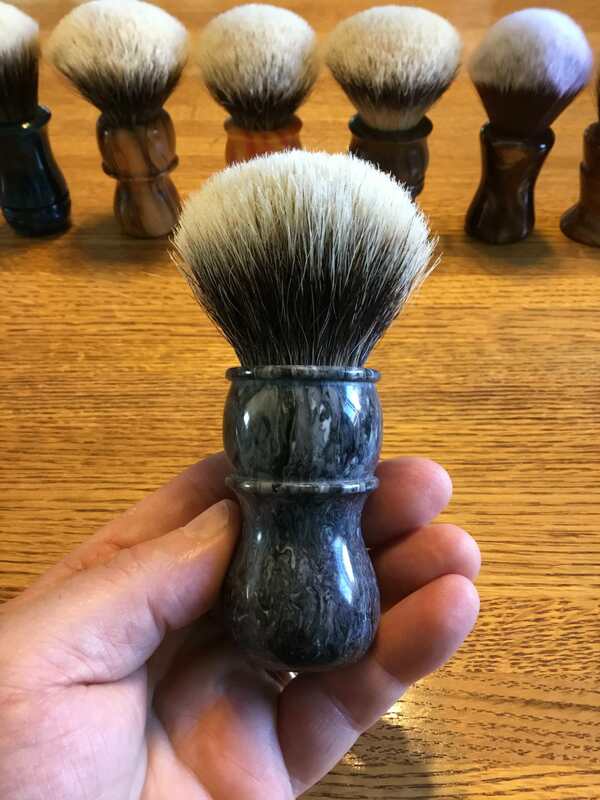 Will take some fresh pics another time, however two of them can be seen in the threads http://shavenook.com/showthread.php?tid=52581&highlight=Y28 (the grey brush in that thread has been fitted with an ER Tuxedo knot which is Spectacular!) and http://shavenook.com/showthread.php?tid=50312&highlight=Mongrel . 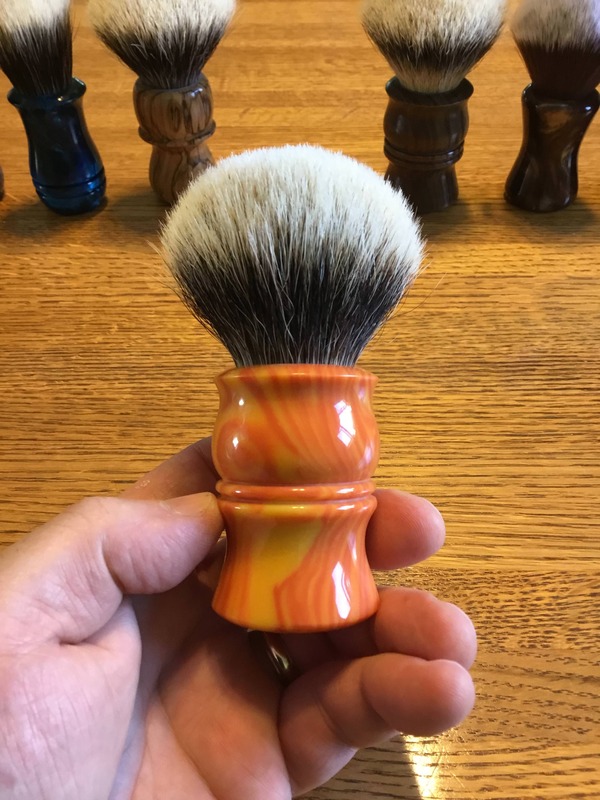 I just bought another one Bloody Basin Jasper with a 24mm Manchurian knot. 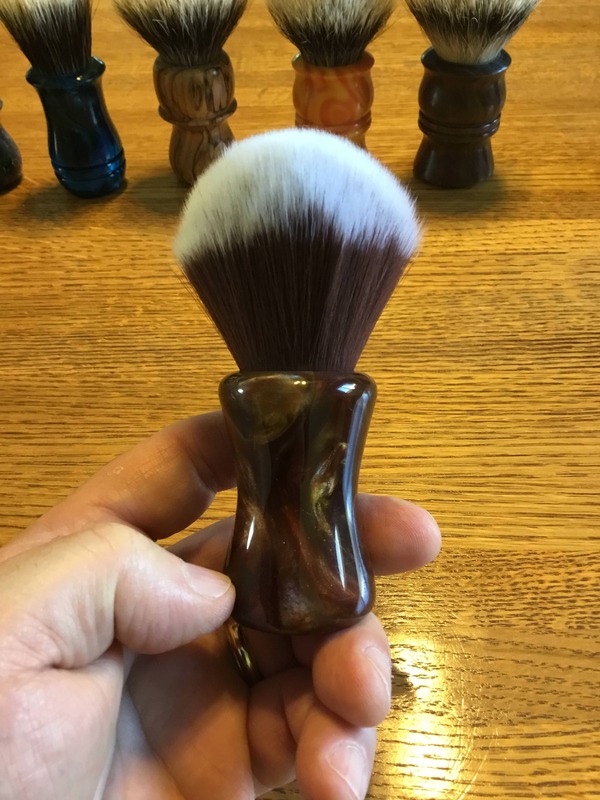 This one is the last brush I ever buy !! 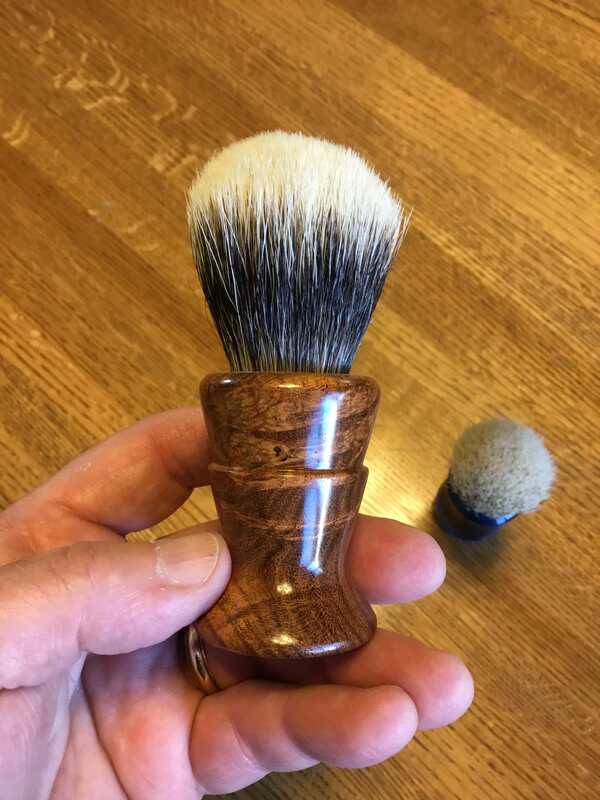 (09-19-2018, 07:05 AM)zipper Wrote: I just bought another one Bloody Basin Jasper with a 24mm Manchurian knot. Nice brush, Z! I especially like the rounded shoulders. I learned a long time ago to qualify such statements with “maybe.” It eases the guilt when I eventually buy another.